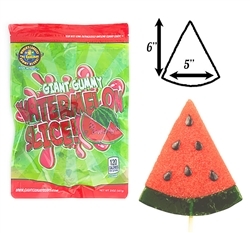 No need to wait for summer to grub down on that sweet, juicy watermelon! Now you can enjoy it anytime, anywhere! 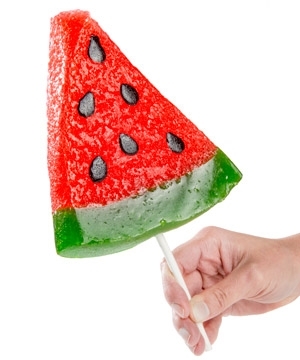 This Giant Gummy Watermelon comes conveniently on a stick & has 3 different flavors: seeds are grape flavored, the rind is sour apple flavored & the melon is watermelon flavored. (20oz).